After two failed marriages, the Ooni of Ife, Oba Adeyeye Ogunwusi, has gotten married to a new wife – a 25 year-old prophetess. We reported earlier. 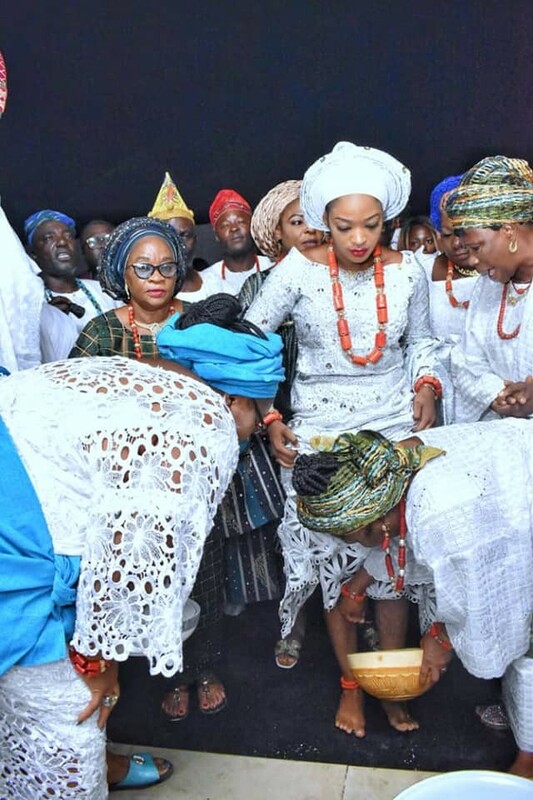 The Ooni shared the photos of his new bride, Naomi Oluwaseyi on his social media pages as many Nigerians including die-hard fans, congratulated him on his new marriage. The Ooni’s new wife, Naomi Oluwaseyi, has been revealed to be an evangelist and prophetess. She is also a young woman said to be in her 20s. The first photos of the Ooni and his woman together as he welcomed her to the royal palace, have emerged since the announcement of their marriage.